Fifty Shades Darker is almost here! Its hear. With just over a month until the release of the sequel to Fifty Shades of Grey, the extended trailer for Fifty Shades Darker has been released. In just under 24 hours it has had almost three million views. Clearly, they are assuming that most people have read the book as this trailer pretty much tells you the entire story. But if you haven’t never fear, I promise this trailer will leave you on the edge of your seat wondering what is going to happen. Much like the title, this sequel is a lot darker. We step further into Christian Grey’s world and understand why he is the way he is. But there are also some dark people stepping in between Christian and Anastasia that could impact their relationship and lives. Jamie Dornan and Dakota Johnson reprise their roles as Christian Grey and Anastasia Steele. They are joined by Kim Bassinger, who plays Christian’s family friend who introduced him to the dark world and his red room. Fifty Shades of Grey introduced us to the world of the red room, through Anastasia, a college graduate virgin, who captures Mr Grey’s eye and he can’t stop himself from introducing her into his dark world. It left us on a cliffhanger of Anastasia breaking up with Christian after asking him to show her the worst of his desires. She left him, deciding that it was just too much for her. The sequel picks up from the breakup and Christian in need of Anastasia in his life. 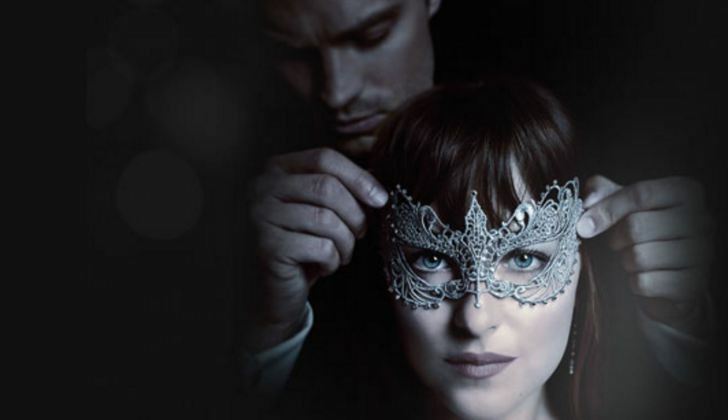 Fifty Shades Darker is due for release on 10 February in the UK and US. Some counties will get to see it a couple of days earlier. All just in time for Valentine’s Day. Although, I wouldn’t think that this would make a great Valentine’s Day date movie!